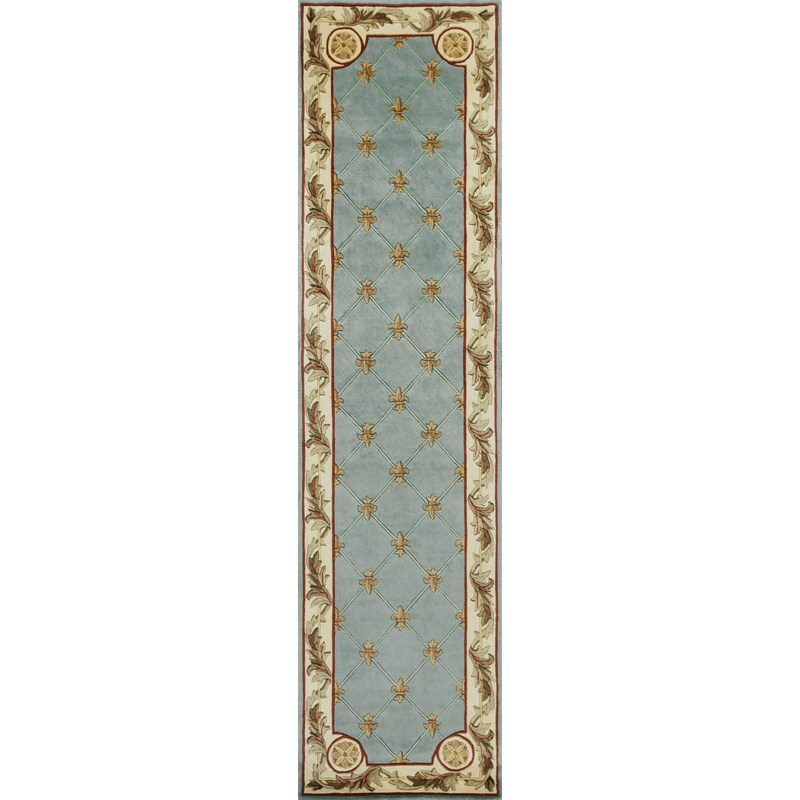 Jewel 0305 Wedgewood Blue Fleur-De-Lis 2'6" x 10' Runner. Hand-Tufted of 100% Wool with Cotton Backing. Made in China. Vacuum regularly & spot clean stains. Professional cleaning recommended periodically.